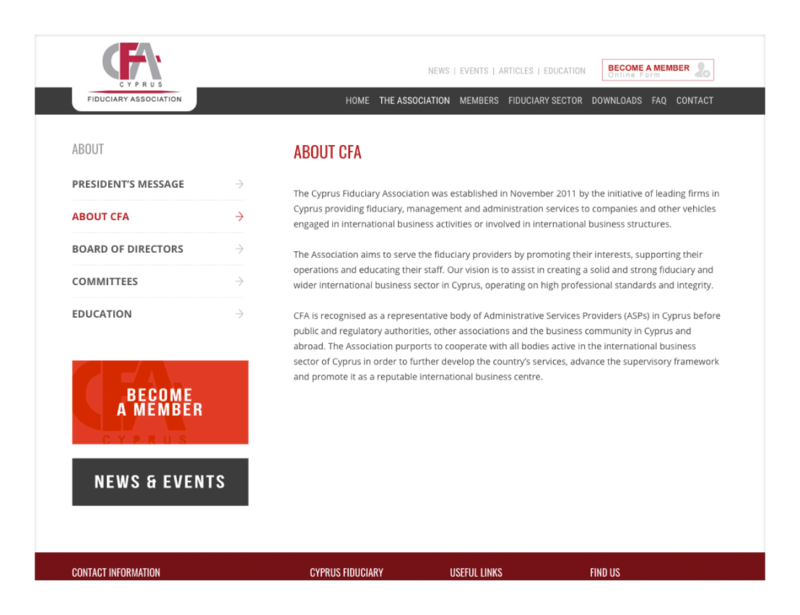 The Cyprus Fiduciary Association was established in 2011 by the initiative of leading firms in Cyprus providing fiduciary, management and administration services to international businesses and clients, with the aim of serving the fiduciary providers by promoting their interests, supporting their operations and educating their staff. The Cyprus Fiduciary Association started working with WebTheoria in 2014, in order to create a brand new website. As the association promotes professionalism & high standards, it was critical that their new website wasn’t just eye-catching and modern, but that it also reflected their values; what they stand for. 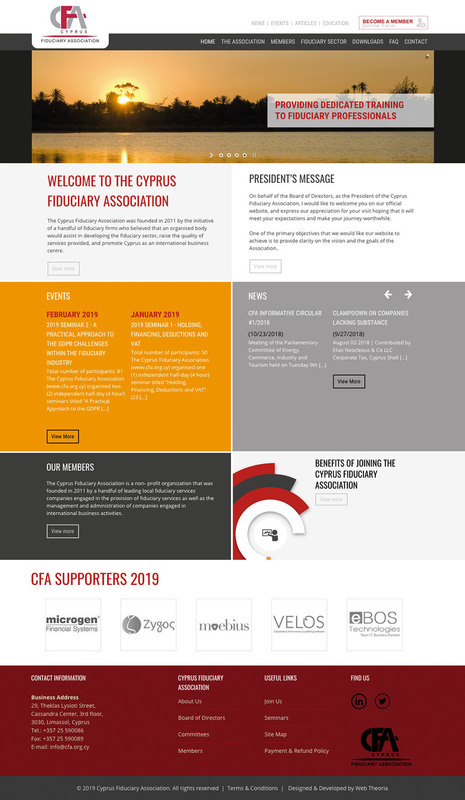 Extra effort was made by our design team so that the Cyprus Fiduciary Association’s website is practical, easy to use and understand as well as that it reflects Cyprus’ modernization when it comes to business development. Cutting edge technology was used in the creation of this website including HTML 5 & CSS 3.